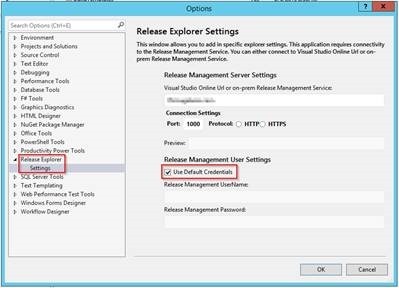 There is a new version (2.1 beta) of the Release Explorer for Visual Studio 2013 available. 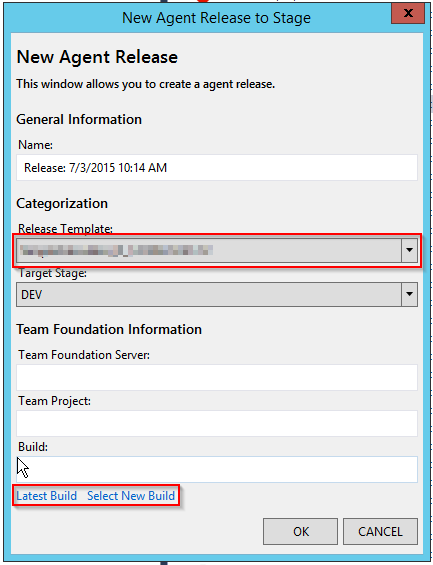 The release explorer is a visual studio extension that allows you to manage your Release Management items from within your Team Explorer in Visual Studio. It is still beta – but the new Version is a lot better than the previous. The current version now allows you to connect to the server using your credentials and you don’t have to save the password in plain text here. This was the biggest pain in the first version for me. 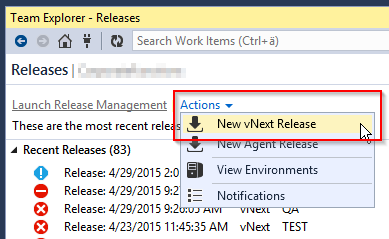 In the context menu of a release you can change the state of a release of view the log. The button View Steps and View Logs lead to the same page. There it is not possible to see the detailed log – but for a first glance into the build it’s really nice. 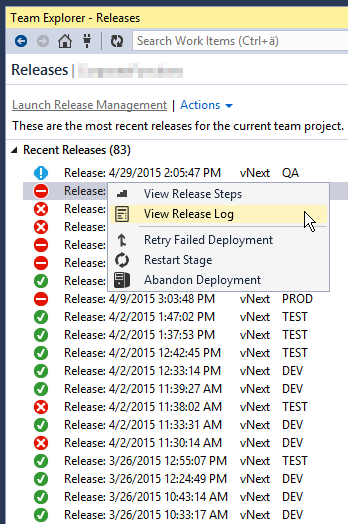 It’s also nice that you can directly restart a stage or abandon a release. I haven tried this yet – so I just hope it’ll work. Starting a new release is still buggy. I’ not able to pick the correct Release Template and Build. So remember the tool is still a beta. But the current version has improved a lot and just viewing the list of release in Visual Studio is really a good thing. Keep up the good work, John.